How does CCC Window Cleaning differ from other window cleaners? They have a team of only mature experienced window cleaners (no newbies). They do the full gamut of job types from shops to skyscrapers and residential. They offer the full range of services from water-fed poles to high-rise access. They also provide professional solar panel, sign, and building wash-downs. They have real human-beings answer the phone 24/7. They offer a quality, on-time, and weather guarantee. They offer on-line instant quotes, over-the-phone quotes, and in-person quotes. They can provide full stain and glass restoration in almost all cases. They offer a full array of related services from fly screen repair to high pressure cleaning. They have water-fed systems for use up to approximately 6 storeys high. They offer digital photo confirmation of their work. They use an on-line ‘real-time’ job planning system. They are members of both the window cleaning federation and association. They are Perth’s only company to pass Trusted Cleaners verification process. They use the latest in window cleaning technology and safety equipment. They are fully insured to the highest degree for all heights and building types. They are always polite, clean-cut, professional, and in uniform. Which one do I fill out? The 'Quote Request' form or the 'Instant Quote' form? Simply put, if it’s a house 3 storeys or smaller, you can fill out our Instant quote form to get an idea of pricing. If it’s anything else including apartment buildings, please fill out the Quote Request form or call our office. Commercial window cleaning as well as large residential buildings like apartments and hotels have too many variables for the software algorithm to compute for the time being but we are more than happy to provide a quote over-the-phone or an onsite inspection (depending on the building type). Commercial, industrial, retail, and residential window cleaning services. All sizes! We also provide high pressure cleaning, building and facade wash-downs, solar panel cleaning, sign washing, mineral stain removal, glass restoration, window graffiti removal, glass shower screen restoration, cobweb prevention, glass protective coating, window screen repair and more. Do you provide free ‘no obligation’ quotes? Yes, we offer free quotes anywhere in the Perth Metro area. The quote can be provided in-person or through our online instant quote software. Yes, three of them. We offer a quality guarantee, on-time guarantee, and a weather guarantee. See our guarantee page for more info. We stand by our customers and we stand by our guarantees. We will re-clean any window you are not completely satisfied with. Streak free windows, guaranteed! Yes, absolutely. We clean windows for some of the most prestigious companies in Perth. Insurance is a must! All certification is presented upon request. All our workers are currently insured for 20 million with no height restrictions. We also offer a work health and safety policy, quality policy, and environmental policy. We’ve got you covered! We always use a safety first approach. In most cases we use a reach and wash approach using standard long poles and water-fed pole technology for buildings two to eight storeys high while keeping our feet firmly planted on the ground. We also provide JSA’s, SWMS, hazard assessments, chemical register, MSDS’s, and any other required documentation upon request. Do you clean north and south of the river? Yes, we clean windows all over. Anywhere in the Perth metro area. Fill out our contact form for a free quote. Our goal is to provide true value to our clients along with the highest quality of workmanship. There are many variables in quoting – far too many to cover here, as each building has it’s own unique structure. In looking for quotes always remember the goal is not the cheapest but rather the company that offers you the most ‘value for money’ while providing a service that meets or exceeds your requirements. While some window cleaners in Australia will give a cost per window price on their website, this is in fact still more or less dependent on the above variables and is in fact a rough quote – usually constrained by whether it’s a ground level or two storey home or whether it’s a commercial job, has security screens, types of windows etc. We go one better! – we provide an interactive quote form that asks you the applicable questions and allows you to choose even the type of windows you have by presenting you with pictures. This will count all the windows you have while factoring in many variables such as fly screens and height and then provide you with an estimation based on a cost per window method. And of course we offer free onsite assessments if you would prefer. WARNING: A new discounting technique that’s emerged in Australia recently is to offer a special for a set number of windows. For example, 20 windows cleaned for $250. Be careful with these kind of specials. As per the above example, if you only have 20 windows or less with absolutely no variables, this could be an option for you. However, if you have more than this or any variables whatsoever, first ask what the price will be for the extra windows and flyscreens etc. (get it in writing). Also be a little cautious of advertisements in your local paper. First ask to see public liability and worker’s compensation certificates of currency and get a complete exact quote in writing before going ahead with the services. For larger commercial jobs also ask for a JSA and quality policy at the very least. Better safe than sorry! Our professional commercial and residential window cleaners have all the solutions at genuinely reasonable prices. We provide huge savings for regular clients. Since each building and particularly commercial buildings come with its own unique set of challenges, we offer free quotes in practically any suburb. That being said many quotes can be worked out using our smart online instant quote software. Great for residential properties. Fill it out and get an online estimate instantly! Over 20 years from shops to skyscrapers. From pure-water technology to rope access, cherry pickers, BMU’s, scissor lifts, and more. Many of our residential clients have their windows cleaned on a quarterly basis. Many commercial clients have their buildings cleaned on a monthly to quarterly basis. Much depends on where your business is situated, whether it is a customer based business like a car yard or shop, or whether it’s an office or even a warehouse. Shopfronts may need their windows cleaned on a weekly basis. Do I need to move any furniture or products away from the windows first? For houses or offices this will generally not be necessary as we provide this as part of our service. However, we do ask this of shops or showrooms. Unless, it’s a Ferrari you would like moved in which case I will definitely be happy to move it for you. Do you use drop cloths? Yes, we do. We are trained professionals with years or in most cases decades of internal window cleaning experience. You are in good hands. Do I need to take my blinds down first? No, this is not necessary for the window cleaning process. If you would like the blinds cleaned, we can remove them for you as part of the service. What types of buildings do you clean? Where do I start…? The simplest way to answer is to say we clean just about anything. From shops to high-rises. Won’t the rain dirty my windows? Perth has some of the cleanest rain in the world. Actually we use pure water in some cases to clean windows! Windows do get gradually dirtier quicker in winter due to strong winds that blow surrounding sand and dirt onto the glass. It’s these stormy conditions that make glass dirtier quicker, not the rain itself. In fact, generally it’s the windows out of rains way and the top of the window under the frame that gets the dirtiest. In summary, it’s an accumulative process that happens gradually over the course of many windy days and will rarely ever happen overnight. However, if you’re still worried about the weather, we offer guarantees even against the elements. All general electronic forms accepted. Visa, PayPal, Bank transfers, and more. Can you provide a JSA or SWMS? Yes, we can provide anything and everything your company may require. What happens if it’s raining? Do you still come? If it looks like a storm on the horizon our window cleaners will call in advance to see if you would like to reschedule. But generally speaking if it’s not raining heavy or only intermittently we can work around it. Be assured that rain doesn’t dirty your windows. In fact, it’s normally quite the opposite. However, if you feel that rain has somehow contributed to making your windows dirty in any way, we have a weather guarantee just for you. My windows are higher than a ladder would reach. Can you reach them? Yes, in almost all cases. Contact us for an onsite appraisal or to discuss requirements over the phone. Can you remove glass graffiti? Yep! Whether its paint or etchings, we can provide you with the best options. Do you clean tracks and fly screens? Yep! But check the quote carefully. We often provide a Basic, Deluxe, and Premium package. Be sure that the package you select includes the services you require. Do you do work for Corporate bodies or Strata management? Yes, we have had years of experience looking after buildings under the care of Strata and corporate management. See our Strata page for more details. Do you do work on behalf of other cleaning companies? Yes, we sub-contract to cleaning companies and even other window cleaning businesses. See our Cleaning companies page for more details. Do you clean house windows? Yes, we also offer residential window cleaning. Our main focus is larger residential properties but we can also provide our services for smaller houses in particular service areas. Absolutely. Call us now for a free quote. See our shopfront page. Are you licensed for Elevated work platform operation including boom-lifts? Will you give a tax invoice? Yes, we provide soft copies in both online and downloadable formats and can provide a hard copy upon request. See our contacts page or phone Jared, Brandon, or Henny on 1300 72 87 72. 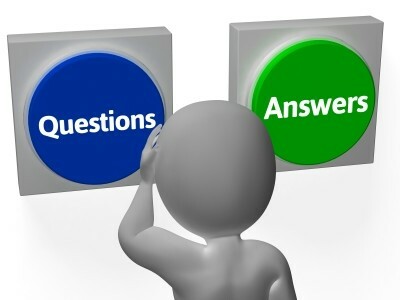 Or ask a question through our ‘contact us’ form.